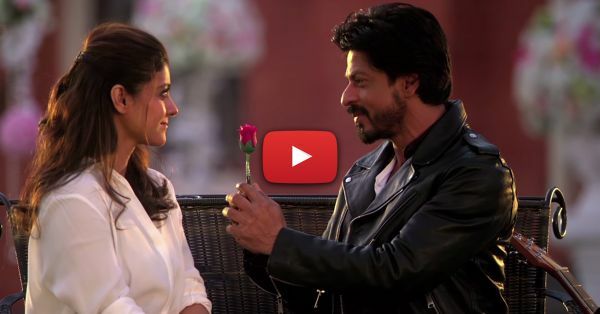 #Aww: SRK & Kajol Still Have That DDLJ Spark! We might have been too young to understand love back when this movie was released but we were also the ones who basically grew up dreaming of Raj and dancing to Mehendi Laga Ke Rakhna at every shaadi! If you don't agree, we're pretty sure you've been living under a rock! Shah Rukh Khan and Kajol made the ultimate jodi back then and this adorable video proves that they still do! Watch as they celebrate 20 years of Dilwale Dulhania Le Jayenge. We can't wait to see them back together onscreen in Dilwale - this is just a hint of what's to come, guys! PLUS: Subscribe to POPxo on YouTube for original videos + our favourite videos from around the web! PS - Check out this totally awesome recreation of the classic DDLJ poster! Source: Shah Rukh Khan On Twitter MUST-READ: OMG, The Shaandaar Trailer Is Out – And It’s ADORABLE! MUST-READ: Deepika Is SIZZLING In The Spectacular “Deewani Mastani”!